Live your healthiest life with leading-edge heart care, personalized for you. Dr. Patel provides the latest in cardiology, helping people of all ages with serious heart conditions. Prevention & Risk Factor Management - Dr. Patel works closely with you and your doctor to identify and manage risk factors for many heart and cardiovascular problems. If you're having trouble getting your cholesterol or blood pressure under control, your doctor may ask for Dr. Patel's assistance in managing these often complex problems. Comprehensive Testing - Early, accurate detection of a heart problem is crucial to controlling its effect on your health. Dr. Patel provides all echocardiograms, EKG tests, monitoring, and other diagnostics, including expert interpretation of the most sophisticated heart function tests available. Heart of Diabetes Program - Did you know that diabetes dramatically increases your risk for heart disease and stroke? It's such an important health issue, that the American Heart Association created the "Heart of Diabetes" program to raise awareness for patients and doctors, alike. Dr. Patel helps patients with diabetes understand their risks, and treats high blood pressure and other problems related to diabetes and cardiovascular health. Women's Heart Health - It surprises many people to learn that women, not men, have the highest rate of heart disease in our country. 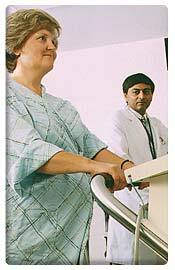 Dr. Patel has many years of experience helping women protect and enhance their heart health. He also cares for women who are pregnant and have heart problems or who develop symptoms such as heart murmur, irregular heartbeat, or high blood pressure that is not well controlled. Post Event & Post Surgical Care - If you've had a heart attack or other cardiac event, specialized care helps speed recovery and guard against future problems. Dr. Patel works with area doctors to provide close monitoring, education, and medical care for people in this situation. He also cares for people who have had cardiac surgery, angioplasty, stents, or other procedures to treat a heart problem. Heart of the Athlete Program - From young, highly competitive athletes to active people who have chest pain or other cardiovascular symptoms related to exercise, Dr. Patel cares for athletes at every level. In fact, for many years, he provided cardiology care to the athletes at Northern Illinois University. Dr. Patel evaluates chest pain, fainting, and other cardiovascular symptoms for athletes in the Sandwich area.